Published on March 7, 2015,	by doyle in New Items in Store. 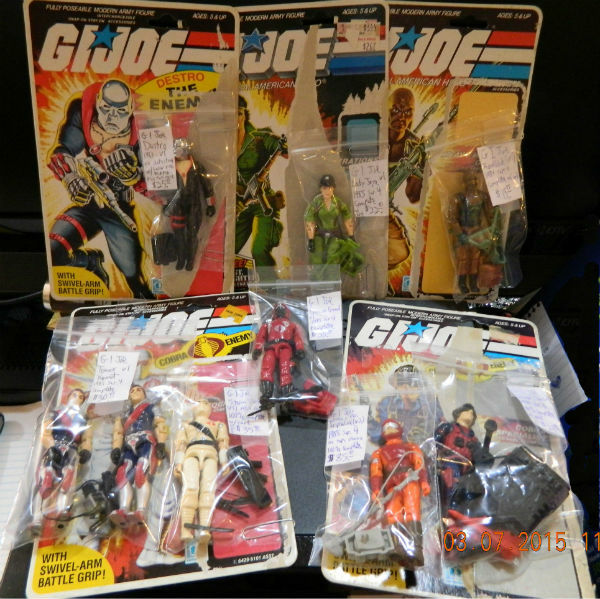 We have just brought in a collection of over 50 G I JOE figures (3 3/4″) from 1983 through 1987. Nearly all are 100% complete, and all but four have their full uncut file card with them. Most of these figures are version 1 for their character, and there are a few version 2s. Plus we have a complete HAVOC!!! Below is a picture of just a small sampling from the collection. Hurry in for the best selection.